Fifth Circuit reverses Texas abortion law decision. Up to one-third of abortion clinics in the state will have to close. 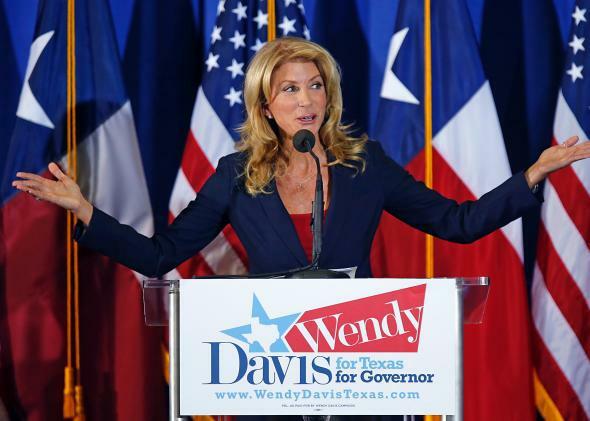 Yet another reason to vote for Wendy Davis. The victory for pro-choicers in Texas was short-lived. On Monday, District Court Judge Lee Yeakel found that the new abortion regulation requiring doctors to have hospital admitting privileges was unconstitutional. Last night, the Fifth Circuit Court of Appeals reversed that decision, ruling that the law can go into effect immediately while it’s working its way through the courts. That means that, as of Friday morning, up to a third of abortion clinics in the state—many in rural areas—will have to close their doors. Other women will decide that, since the state has removed legal abortion as an option for them, inducing miscarriage at home—usually through ulcer medications brought over from Mexican pharmacies—will be preferable to suffering childbirth. This method is largely effective if done correctly, but unfortunately information to do it correctly is hard to find. Funny how these new “health regulations” leave women with two choices—illegal abortion or unwanted childbirth—that are both well-known to be less healthy than legal abortion. *Correction, Nov. 13, 2013: This post originally quoted Texas Solicitor General Jonathan Mitchell as reported by Andrea Grimes in RH Reality Check as saying that the state has the right to impose “inconveniences on women seeking abortion in hopes that it may lead women considering abortion to consider childbirth instead.” Grimes misquoted Mitchell, who actually said, “in hopes that it may lead women considering abortion to opt for childbirth instead.” The quote has been fixed and the post has been updated.